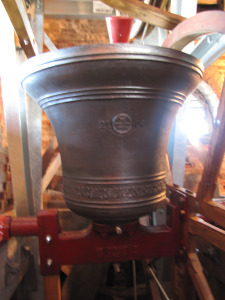 I am a bellringer at Christchurch Priory in Doset, UK. I also ring at a number of local towers in Hampshire and Dorset. I tweet as @Bellropespider, patiently mapping people who tweet about #bellringing either as a tower, Guild, or District, or just the ringing they are enjoying week by week. I am convinced of the power of Social Media for supporting local bellringing bands, and I am happy to help any aspiring Tweeters, Facebookers of Bloggers to get started in the world of Social Media. There are lots of bellringers out there with a huge wealth of IT knowledge – I adminstrate the national Bellringing Webmasters Facebook Group to provide a forum for the technical chat which the average bellringer finds completely incomprehensible! Locally I administrate the C&S District Facebook Group, and I am an enthusiastic member of the East Dorset group too, since I live on the boundary between the 2 Districts. I am training to be a Ringing Teacher under the ITTS scheme. I am an enthusiastic Quarter Peal ringer and aspire, always, to ring better than I did last week, and encourage my friends locally and nationally to do the same! I rang my first peal in 2015. I you wish to contact me about bellringing please use the reply form below. I will reply as soon as I have stood my bell!